Ricochet is one of the stars of the IMAX film, Superpower Dogs. If you're a museum that is showing the movie, and would like help promoting your events, Ricochet's the dog for you! Just scroll down to explore the different ways she can help. Ricochet has been a social media influencer for many years, and has a large following (253K on Facebook, 100K on Instagram, and 17K on Twitter). ​If you have a post to share, please email the link to [email protected] with whatever text you'd like to go with it. We'll post it, and tag you in the posts. We'll also ask people to LIKE your page. Ricochet has followers and supporters all over the world. As such, she can alert them to the film showing in their area, while encouraging them to see the film at your theater. This will also give more exposure to your museum in general. If you’re hosting special events or promotions in association with the film, Ricochet can promote that as well. 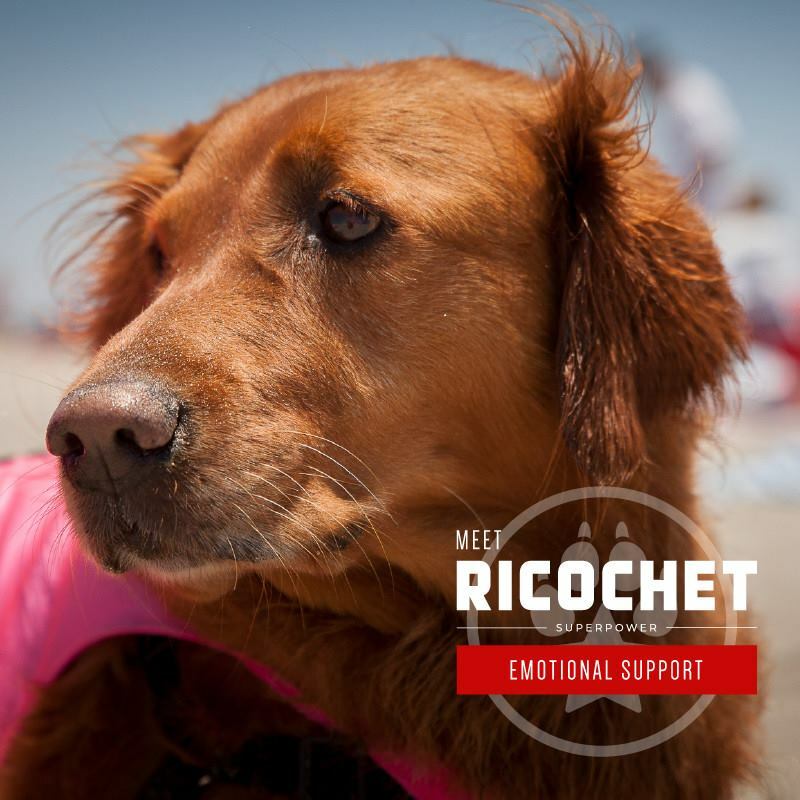 Ricochet has been working with kids on the autism spectrum, as well as those with special needs, disabilities and veterans with PTSD for over 10 years. In San Diego, where Ricochet lives, she has attended sensory friendly showings, and brought some of the items below for kids to take home. These items are also available to museums around the country that are showing Superpower Dogs in an environment that is conducive to sensory sensitivity. The following swag give-aways can be donated to a museum for a contest or special promotion they have in regards to Superpower Dogs. ​​These items are also available for kids that attend sensory friendly screenings.